Property Sold For $4,500,000. No Longer Available. Exquisite Mediterranean design is exceptionally appointed with Old World elegance, marble and quality craftsmanship throughout. Exterior facade finished with marble and ancient stone. 2 lavish Master Suites with fireplaces, whirlpool spas, glass block showers, marble and full body massage. 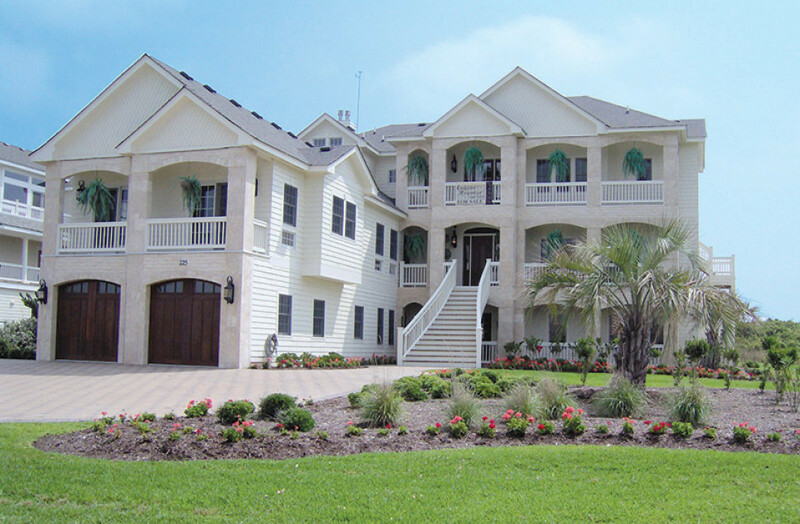 Offered by East Coast Realty, Inc. & Built by East Coast Construction Group, Inc. as a Vacation Rental. This Magnificent Estate is the height of GRAND OCEANFRONT LIVING. Exquisite Mediterranean design is exceptionally appointed with Old World elegance, marble and quality craftsmanship throughout. Exterior facade finished with marble and ancient stone. 2 lavish Master Suites with double-sided fireplaces, whirlpool spas, glass block showers with tumbled stone, marble and full body massage. No gallery with the ID was found or you have not created albums for it yet. Grand marble foyer with winding staircase, hand-painted murals and Italian marble throughout. Other Amenities Include: Gourmet Kitchen for entertaining, expansive Gentlemen’s Sports Bar, Theatre Room with 119” Projection Screen. Heated In-Ground 26’ by 34’ Pool with Swim-Up Bar, Pool House, Fiber-Optic Lighting with Stone Waterfall. In-Ground Hot Tub, Custom Exterior Stone Gas Fireplace. Library/Conference Room, Recreation Room with 2 Billiard Tables, Foosball Table, Game Table and Playstation. Fitness Area with Equipment, Sauna, Steam Shower and much, much more!